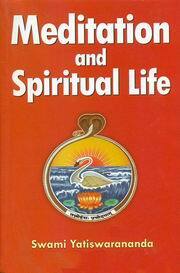 This book is a practical manual of spiritual life with special emphasis on meditation. Though designed for the use of religious people in general, it is specially intended for those who sincerely practise prayer, japa and meditation, and are eager to attain some spiritual fulfillment. The true seeker of Truth will find in it simple but valuable guidance regarding preliminary preparations, the different techniques of meditation, the various obstacles that are to be overcome, the nature of genuine spiritual experiences, and other important details of meditative life which can otherwise be gained only through intimate contact with an illumined guru.